Invite your friends over for the most creative and fun barbecue imaginable! 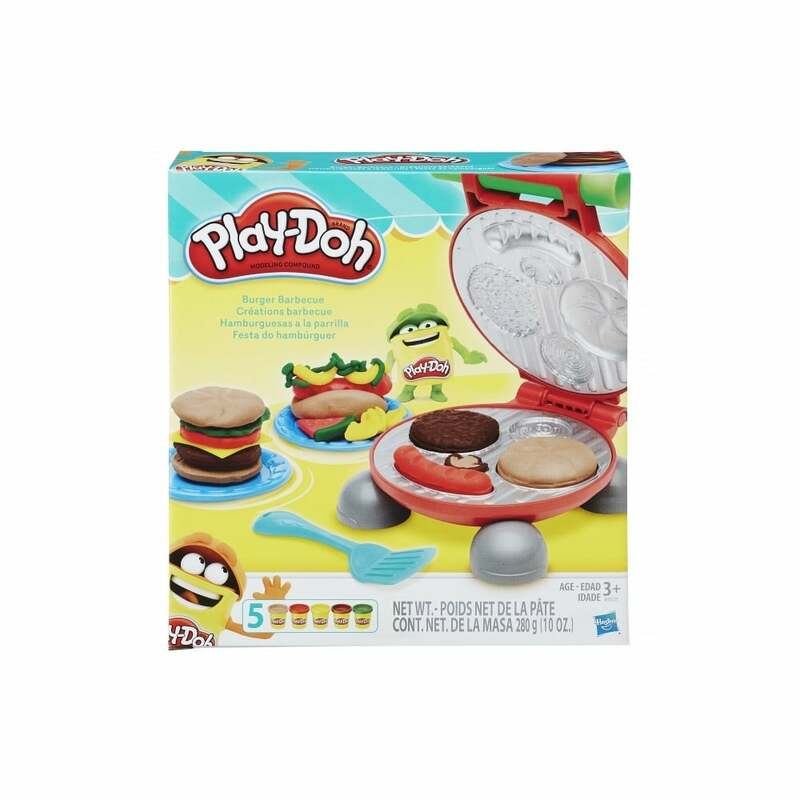 With the Play-Doh Burger Barbecue, you can toss some Play-Doh compound onto the included grill and mould make-believe burgers and hot dogs! Put these picnic creations on the pretend buns, and then use the extruder to squish out ketchup and mustard to go on top. Make your Play-Doh barbecue plate complete by creating some pretend chips and fries!